“The CivicWise community has rapidly grown and so is the work we are doing. From engaging with new people, working on the method, talking about internal governance, and shaping the platform, it is a real challenge to keep track of everything that’s going on. 12th September 2016 what can we say more? 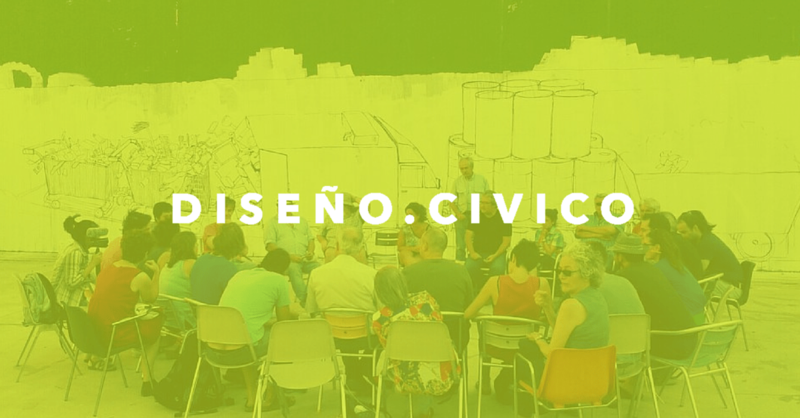 Nothing but the fact that CivicWise community has grown: 8 Local Circles (London, Madrid, Seville, Paris, Milano, Roma, Curutiba, Valencia, Medellin), 10 Network Circles (UK, France, Italy, Greece, Colombia, Catalunya, Mexico, Argentina, Brasil, Belgium) are borned. Do you know that we have got 13.300 friends around the world and we are probably more than 200 wisers? CW as grown at such a point and such rhythm that it’s difficult to even welcoming now a new member without be lost in CW governance principles, CW circles themes , explain CW projects or just know whore are wisers. CivicWisers are huge workers but it became obvious that we have to take the time to think together about CW structure for efficiency. Indeed, looking backward, Wisers have already worked collectively on this question from 2015 to the recent february Global Camp 2016 in Paris.Thanks to this collective reflexions we have got a reified structure of circles working hard on projects but whose today’s difficulty is to refer to CivicWise when are asked those simple questions: What / Who is Civicwise ? If we say that CivicWise is this amazing Idea of promoting glocally the empowerment of citizen and that this Idea becomes reality by local circles, we don’t have to forget to food it in return. CivicWise exists by the feedback we give, as a tag which each circle made reference to, grouping together all datas. That’s why Communication’s Circle initiate the 19th August 2016 by Domenico Di Siena and Francesco Previti, has decided to start again this Weekly Newsletter for share the work made by all circles and therefore, restart circles connection. for our first Weekly Newsletter between your coffee, tea, croissants (Paris), eggs (London), fruits (Valencia), cornetto (Milano) or a big mix cause we are Glocal. Adelante ! Let’s connect Circles ! August is a notoriously slow month. Everyone is on holiday, most offices are shut and the phone seems to ring less. One of the key element to formally register a company is to establish a location. Given that the local circle of Civicwise in Paris is developing a strong relationship with the coworking space VOLUMES working on Surplace, it looks like this place could be a good choice for the official address of our company. That means we would create a non-profit legal structure (association) in France, but we will be able to operate internationally. We are still working on it but we will share some updates very soon. If you have any legal experience or have registered an association in France before, please let us know. Working with VOLUMES in Paris we are shaping some new interesting approaches to enrich Civicwise. The collaboration with them helped us understand that the core of Civicwise activity is essentially about promoting a Located Collective Intelligence around two elements: the community and a place, called Civic Point. A Civic Point is a local space (coworking space, living lab, innovation lab, urban centers, etc.) where people with different expertise can meet and work together to develop civic innovation projects. Compared to the traditional model, this process is a lot more agile because it doesn’t require representatives or intermediary parties. That means people work together as citizens rather than members of groups or organizations and the space becomes the reference point of the community. We decided to test the concept of our first Civic Point at VOLUMES in Paris. Having a physical space to prototype the idea in practice will surely help us refine it. Several people expressed concerns about the practical challenge to start a local circle and meet face-to-face. Reflecting on it, we thought that a solution could be embrace a more flexible tool that allows people to interact more like a Facebook group. That means that if a civic member wants to promote Civicwise in his city, he can create a Facebook group naming it Civicwise [name of the city]’, for example Civicwise Paris. The objective should be quality not quantity. Only when the online local community becomes strong enough to have the capacity to support offline activity, their members can start a local circle. Civicwise instigator Domenico Di Siena is currently developing an online course which is directly connected with Civicwise projects and mission. The aim of the course centered around Civic Design is to foster a discussion around Civic Innovation and in particular about the idea of Civic Points. Students will be working on the definition of what a Civic Point could be and how we can develop a Network and Label for all the different Civic Points. Civicwise lives and breathes the digital sphere. However, when it comes to build an idea and develop a project, a lack of physical interaction can become a limit. We are therefore thinking about organising the first Civicwise Summit, a work-session with 20-30 Civicwise members somewhere in Europe, at the end of January 2016. The idea is to get together for a couple of days, to work on Civicwise in an informal atmosphere, whilst living together and establishing personal relationships with fellow members. To make this happen we need to find a place that can accommodate people as well as having a meeting room. Possibly cheap and in close proximity to an international airport for easy access for people coming from abroad. How does a the idea of the Civicwise Summit sounds to you? Would you be interested in attending? To consolidate the work of the Summit, we are thinking to host a public global event next May to meet more members of the Civicwise community and anyone interested in Collaborative Urbanism and Civic Innovation. Next May sounds like a possible date. In order to connect all the different local communities, we are exploring the idea of setting up a European Civic Tour next summer. We would travel across Europe on a customized van turned into a Mobile Civic Point where we would work, eat and sleep. The aim would be to meet the different Civicwise communities who could organise some kind of formal or informal event and help to promote the Civic Point Network and the Civicwise community itself. This week, Domenico Di Siena took part in the Cities for Life Global Meeting in Medellin as an invited expert. One of the aims of the conference was to develop a platform that combines social technologies, information and communication between different cities. While on stage, Domenico had the chance to present Civicwise and suggest it as a potential partner to help create better connections between citizens. As you probably realised, there are lots of things on the plate for the upcoming months and we can’t wait to start developing them. To start with, next Wednesday 9th we’ll be back with our weekly hangout, so if you want to find out more about how we are going to unroll all these ideas, come and join us 9pm European time. We have been off the radar for a while trying to fight the heatwave with less digital activity and more offline work but we are now back online! Despite the radio silence we have been pretty busy so let’s dive into what happened in the past weeks in CivicWise. Given that one of the main strengths of the CivicWise community is the people involved, developing a top-notch governance is key for the success of the organisation. That’s why we are still investing time to get our matrix right. We are almost there, but if you have any suggestion, comment or feedback please let us know now so we can take it on board. If you have been following us, you surely remember that the team in Paris planned to take over Place des Fetes every Wednesday for the whole month of July. We sat with Chloe to find out how the first day went and what the plans for the future of the project are. A few words on our first Wednesday taking over Place des Fêtes in Paris. As true early birds, we decided to start installing our working space in the cool of the morning, just few steps away from the metro station. We set up an informal space, still without electricity, but bold enough to make us easy to spot. The day began with an outdoor meeting for the Volumes‘ team, the co-working space home of the CivicWise Paris circle. The day continued with a workshop to define our current action and its evolution! Its theme, “Vivre la Place des Fêtes” (live Place des Fetes), brought some life back on the square engaging with the inhabitants, and inviting them to join us by creatively reclaiming the public space in their neighbourhood. The day was filled with insightful conversations with local people because our presence, without necessarily raising concerns, was often associated with the currently redevelopment of Place des Fêtes. That helped collecting lots of impressions, life stories and anecdote related to the neighborhood, given that many people are already very actively engaged in the area. Looking ahead, we now have two goals: firstly, continue engaging with the residents inviting them to join our space and bring together as many people as possible. Secondly, share our project beyond the neighborhood to encourage other to come and experiment temporary interventions like this. To help people who are interested in replicating a similar activity but don’t know where to start, we just started working on an ‘outdoor workspace’ toolkit to unlock spontaneous encounters in public spaces. As for us, the success of this first guerrilla trial, signs the start of Surplace, a collaboration between CivicWise Paris and Volumes. Surplace is a civic innovation project, aimed at revamping the square by bringing chairs and tables in the space and promoting outdoor work. Good luck to the Paris team! We can’t wait to hear how the project develops further. When you work with passionate people like CivicWise members, you can be sure you will come across some great opportunity currently open. This week, we’d like to share with you The City as a Commons, a Call for Papers as a roundup to the 1st IASC Thematic Conference on the Urban Commons that will take place in November in Bologna, Italy. The event will bring together leading scholars, researchers, policymakers, practitioners and social innovators to take stock of the developments in the interdisciplinary study of the urban commons and related questions of urban governance.The Conference Organizers invite paper submissions in the six thematic areas tat will be highlighted during the conference. You can find more about them in their website. If you would like your CiviWise local project, activity or action to be featured in the This week in CivicWise weekly blog post or you come across anything that you think might be interesting for the community, please write it here and it will be included in the following weekly summary. This is what happened this week in the CivicWise world. After the success of the teamwork for defining our values collaboratively and efficiently, we decided to apply it to governance as well. We held two sessions, one on Tuesday and one on Thursday to discuss the Governance Matrix. As you probably recall from last week’s summary, we decided to add the prefix civic to friends and members but agreed that a distinction between civicmembers that are individuals and those who are organisations is not necessary. The main change to the previous draft is the introduction of a three-layers structure of circles, networks, and community. We previously presented the topic of circles here. Circles are always independent and autonomous. Networks are groups of two or more circles, related to each other by either location or topic. Differently from circles, networks are not independent. Their role is to better connect and coordinate circles together. Taking local circles as an example, residents of a neighbourhood getting together to improve their area would create a local circle. There is no limit on the amount of circles a city can have. However, there will only be one network for every city, representing all the circles located in that city. The sum of all the networks is the CivicWise community. The content for the matrix is almost done but we need your help to finish the following tasks before 1st July, which is our deadline to define the content and start working on the visual representation. – verify the distinction between ‘Activities’ and ‘Commitment’ (what you CAN do and what you HAVE TO do). Please write your contribution on Discourse or comment directly on the Google Drive document (to add a comment for a specific box, insert the cursor in the related box, then click Insert/Comment). 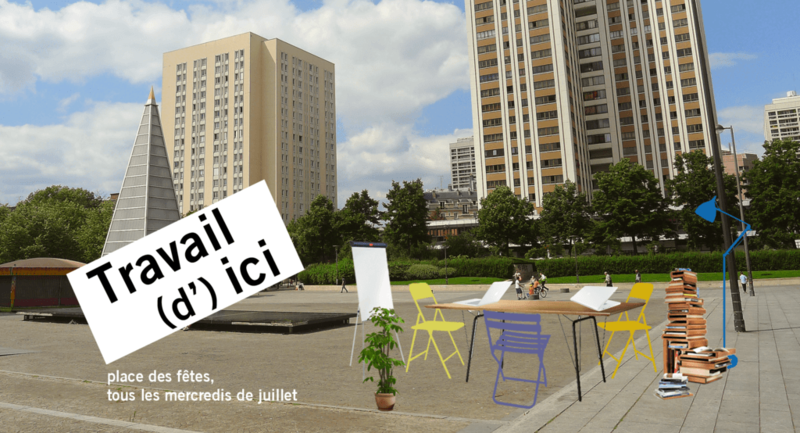 Do you remember we mentioned that the CivicWise Paris circle was taking part in a neighbourhood project to find ideas to regenerate Place des Fêtes, a square in the North-Est of Paris? That time has finally arrived! The first rendez-vous will be on the 1st July in the square. See a preview of what you can expect in the photo below. To find out more details, check the topic on Discourse (in French) or the pinned post at the top of our Facebook page (in English). Whether you take the Metro, cycle (it’s one of the highest points in Paris, so if you are coming from the centre get ready for a proper workout), or walk, we are looking forward to meeting you there. Every now and then we come across competitions we think would be interesting for the CivicWise community. This week Saverio mentioned ‘Europe 2020’, calling for proposals to foster civic engagement and cities networking. Check it out here (the text is only in Italian, I am afraid) and get in touch if you have any idea how this could apply to CivicWise. Have a great weekend and see you next Saturday with another weekly roundup. We hope you have some amazing plans for the longest weekend of the year. But before you head out of the house enjoying the looong days, here is this week’s roundup. After months of drafting and tweaking, we finally have the final version of our values and mission- previously called principles. You can see them here. Thank you to everyone that contributed. If you would like to see the entire conversation, give a feedback or simply comment, reply to the thread on Discourse. We discussed about the first draft of the Governance matrix, reflecting on the different roles (civicfriends, civicmembers, civicwiser, civicwiser executive), the layers of information each group gets access to and tasks they can overtake. Some interesting points came up during the conversation: do we need to distinct between individuals and organisations in each group? Should the two categories get access to slightly different information – for example by charging a higher membership fee in case a civic member is an organisation? Will that allow us to better manage possible paying-partnerships or will it instead create more confusion? If we apply this distinction, it will probably only apply to civicfriends and civic members. That’s because it is quite unlikely that an organisation could overtake the role of civicwiser, considering the time and commitment required. What do you think? Should there be a difference between individuals and organisations/companies if they join the CivicWise community? How would you rename the horribly corporate, ehm boring civicwise executive??? We need a new name for it! Have your say on Discourse. Next week we will meet to summarise all the contributions and finalise the draft – probably Tuesday or Wednesday. Give us a shout if you want to join the activity. It might be the passionate people involved or maybe the hot summer sun, but the Barcelona circle is burning! Joined by Domenico who was in town for a couple of days, they met and discussed about organising regular meet-ups on civic engagement and participation. Fantastic news! If you are in Barcelona and would like to know more about it, reach out to them in the Barcelona group on Discourse. That’s all for this week. Enjoy the weekend! After the long post last week, this time it’s going to be a short update. Enjoy! The topic of this week’s hangout was Principles. We discussed the first drafts that people shared on Discourse. We want to finish the work by next week so please share your thoughts and ideas on Discourse by Monday 15th. On Tuesday 16th 10am-12pm (GMT+1) we will host a Hangout to summarise the different suggestions and finalise the draft. Let us know if you want to participate. We have a great news here! CivicWise is taking part in a neighbourhood project to find ideas to regenerate Place des Fêtes, a square in the North-Est of Paris. Every Wednesday during the whole month of July, CivicWise will be out there in the square, talking to the local residents and engaging with the space. Watch out for the CivicWise stall if you are around and stop by to say hi. As we highlighted last week talking about the governance, people can join CivicWise both as individual and as an existing organisation. On this spirit, Paola Buttiglione e Luigi Reggi from Monithon, got in touch because they are interested in expanding their project abroad and were considering to possibly partner with CivicWise. Monithon was born as an independently developed initiative to promote the citizen monitoring of development projects funded both by the Italian government and the EU. Citizen monitoring of these projects is possible thanks to a combination of open government data and citizens’ collaboration, joined by the goal of controlling how the projects are progressing, and whether they deliver actual results. We think it’s a great idea and are looking forward to continue the conversation with Paola and Luigi. Who knows, maybe they’ll become a thematic circle soon. Since our launch in London almost three months ago, the CivicWise community has rapidly grown and so is the work we are doing. We therefore decided to introduce a new weekly post here on the blog to briefly recap what happened during the week. No matter if you are a dedicated civicwiser but are extremely busy during the week to join the Wednesday hangouts or you are just interested to keep in the loop, watch out for these posts every Saturday morning. We promise they will be as short as a breaking news and won’t take longer to read than having your breakfast. No more excuses to feel left out! Please tell us if you find them useful or anything else you would like to be informed of. There you go, enjoy the first post of the ‘This week in CivicWise’ series. – During the hangout on the ‘method’ we discussed about a first draft of a toolkit or canvas for supporting CivicWise projects. Read more about it here and take part in the discussion on Discourse. – On Thursday Domenico presented CivicWise in Padua, Italy, hosted by the co-working space Co+ . It was very refreshing to acknowledge the commonground between their mission and our Civic Space project. – Domenico’s trip in Italy continued on Friday in Verona, invited by Francesco Previti where he met a group of passionate people interested in setting up a CivicWise local circle. They are working on the renovation and repurposing of the old arsenal and they are thinking to use CivicWise method for the participative design phase of the project. – Melissa, a civicwiser living in Berlin wants to set up a local circle there. We think it’s a great idea given the amount of potential projects in the German city. If you live there and would like to be part of it, get in touch!